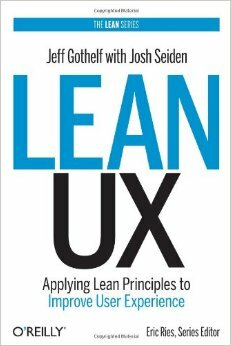 From the “must read” files, filed under “buzzworthy” and “trending” is Gothelf and Seiden’s work on Lean UX, which posits that UX designers, with a few adjustments to their craft, can work in harmony with the agile philosophy that is all the rage amongst development teams. You know this is more than a fading trend, when even the esteemed Nielsen Norman Group weighed in on agile UX last week. I think we can all get behind the declaration that we should ‘get out of the deliverables business’ (page 12). Right? I don’t think this is a revelation of any sort, the profession has been mired in this tension since the roles of “visual designer” and “user experience designer” diverged. Although document themselves don’t solve business problems, they do maintain their sway over UX developers [and even myself at times!]. Well-crafted UX deliverables are absolutely imperative to one’s career trajectory. The UX portfolio is a time-honored piece of one’s application: for right or wrong, although we design to support behavior, the word ‘design’ carries with it some other baggage. To be fair, Gothelf and Seiden do point out this tension in the introduction (page XV), but until the craft transforms sufficiently, I’m not sure we can simply suggest that a UX designer commit “career suicide” in the name of Lean UX. Snappy visual representations are probably not going anywhere. While these sort of deliverables might help you achieve [the much maligned, and often pejoratively referred to] ‘rock-star’ status (page 10), we should be careful to choose the right deliverable to match the right design problem. 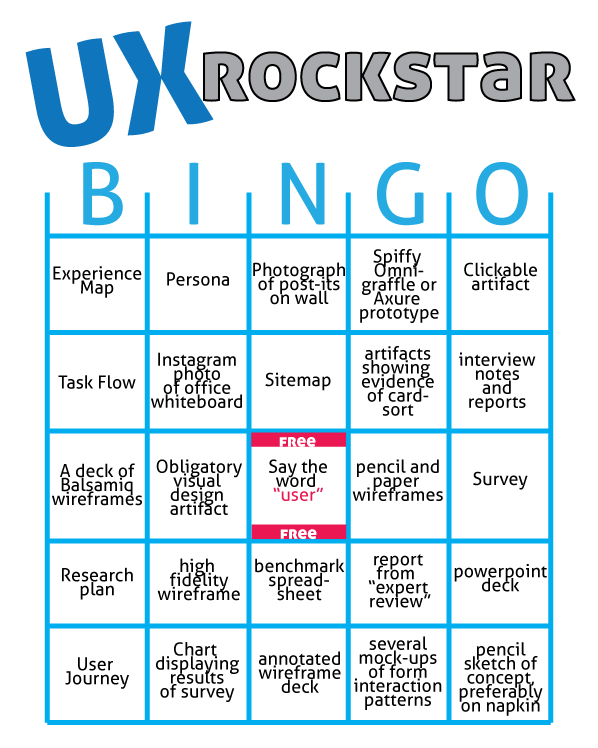 Not every design problem is an opportunity to complete the portfolio bingo card.